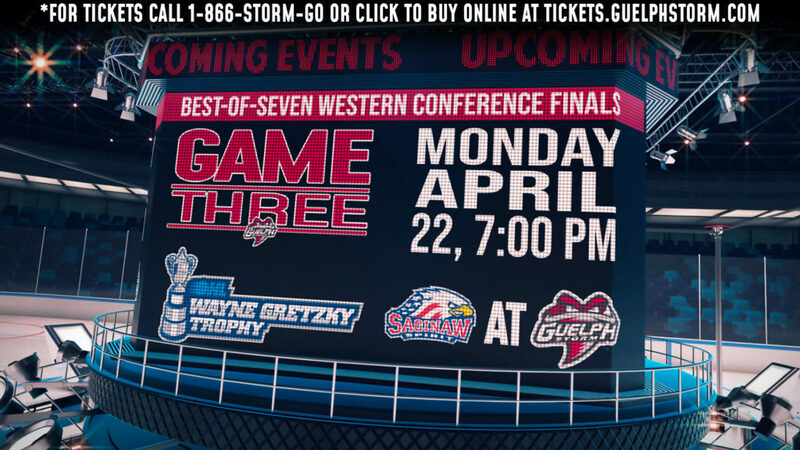 Game 5 of the Western Conference Semi-Finals takes place tonight at 7:30pm at Budweiser Gardens in London. London is heading back home with a 3-1 series lead after splitting games three and four in Guelph earlier this week. 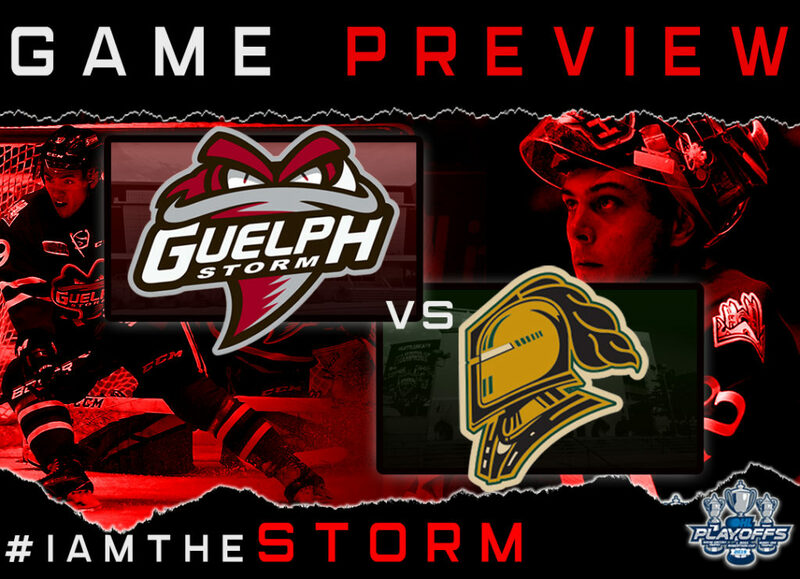 After a close 3-2 game one in London, the Knights won game two 7-0 and game three 7-4 to take a commanding series lead against the Guelph Storm. 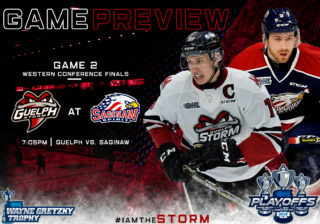 In game four, the Storm were able to take their first lead of the series when Nate Schnarr scored on a first period power play. The Knights battled back and tied the game late in the first to bring the game tied 1-1 into the second period. The Storm scored two goals in the opening 6 minutes of the second period with goals by Nate Schnarr and Nick Suzuki to give the Storm a 3-1 lead heading into the final frame. Twelve seconds into the third period, London’s Billy Moskal scored to bring the game within one goal, but Liam Hawel would score what would turn out to be the game winner with close to five minutes left to give the Storm a 4-2 lead. The Knights would add a power play goal late to bring the game within one once again, but the Storm would hold on to win game four by a score of 4-3. 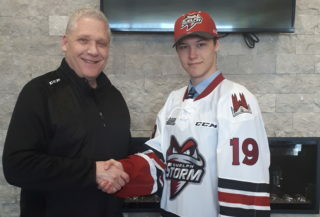 Isaac Ratcliffe had a career season with the Storm collecting 50 goals and 32 assists for 82 points in 65 games throughout the regular season. 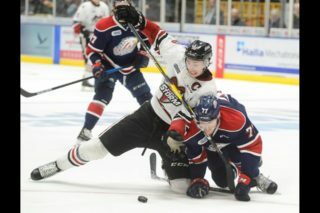 In the first round of the 2018-2019 playoffs, Isaac scored 2 goals and added 4 assists for 6 points in the first round sweep over Kitchener. In the second round, Isaac has 1 assist in 4 games against the Knights, and will need to chip in offensively for the Storm to comeback in this series. Liam Foudy had a strong season for the London Knights by collecting a career high 36 goals and 32 assists for 68 points in 62 regular season games. Throughout the 2018-2019 playoffs, Liam has scored 4 goals and 6 assists for 10 points through 8 games thus far.